Among the musical shrines of Nashville that count The Grand Ole Opry, Ryman Auditorium and Country Music Hall of Fame is a new fine-gun store – and America’s latest authorized Fausti dealer. In a way, despite its location in a city of American legends, Double Guns of Nashville adheres to the retail protocol of British Best – hand-selected break-open shotguns with curated upmarket gear. 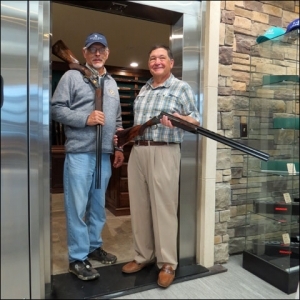 The store, which opened in November, is all about over/unders and side-by-sides from premium makers such as Krieghoff, Blaser, Verney-Carron, Grulla, Fausti and Zoli. They also stock rifles from Rigby, Mauser and Sauer along with Swarovski optics.